New year, new look, new you: this issue of Men's Running is all about the new. 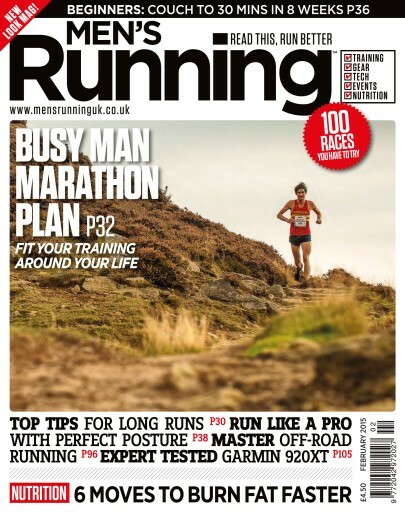 With a stunning new facelift and a new strap that says 'read this, run better', Men's Running has never been more of an essential read for blokes interested in running - and running better. This issue has the Busy Man Marathon Plan for guys trying to squeeze their marathon training in on a busy schedule; there's a new columnist in the form of ultrarunner Robbie Britton; and top mental tips for coping with long runs. On the product front we road-test a Garmin 920XT, as well as test the best winter gloves and hats. And there's plenty of new runners to get stuck into, including our 5K training programme to get you to 30mins in 8 weeks. Men's Running: read it, run better!